PDF Saltwater Taffy looks as yummy as candy! Luscious "candy colors" include: sunny yellow, cherry red, blue raspberry, and candy heart pink. It is bed size at 85 x 96 inches so you can toss it on your bed, the spare bed, the hammock, or the couch. Wonderful summer-y colors that chase away the cold days of winter! The raw-edge ruffle adds a bit of shabby elegance. The background is an unbleached muslin which makes the fabrics pop! 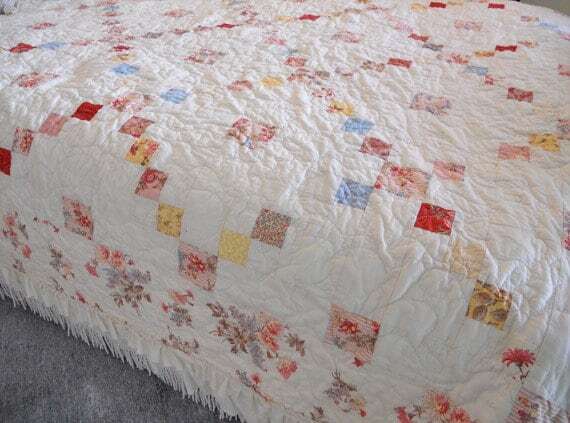 We finished it off with a wide border of a delicious floral and a 2 1/2 inch raw-edge ruffle. We used a lovely floral for this project...though you could use a mixture of moda candies (4 needed total). 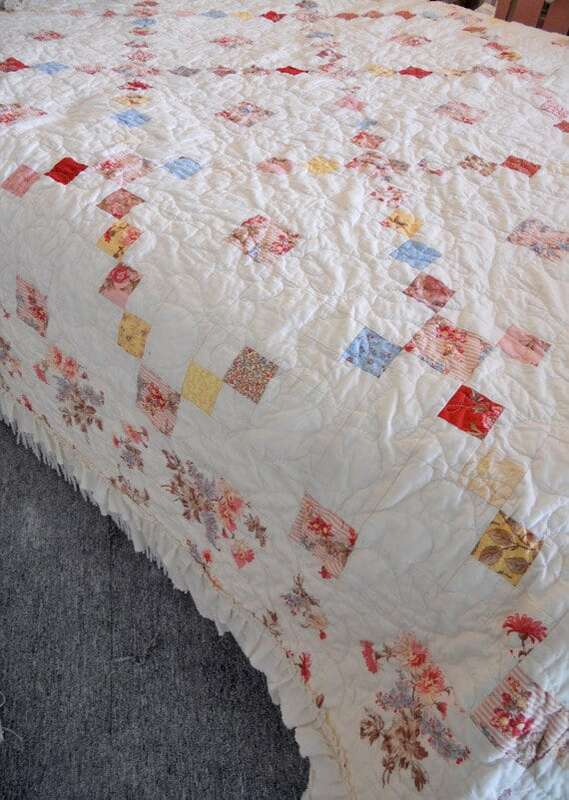 Use up those scraps of batiks, or choose solids, brights, or civil war. The ideas are endless! 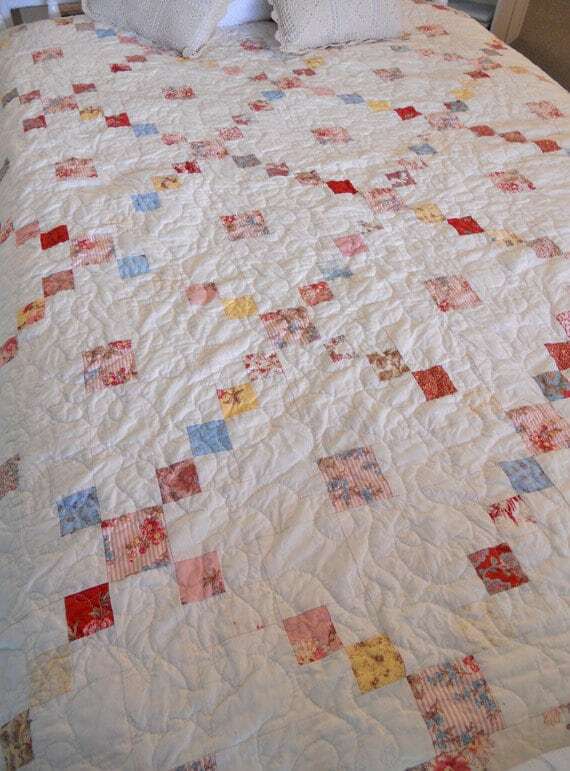 This quilt uses moda candies. Saltwater Taffy is beginner level and measures 85 x 96 inches. This listing is for the pattern. 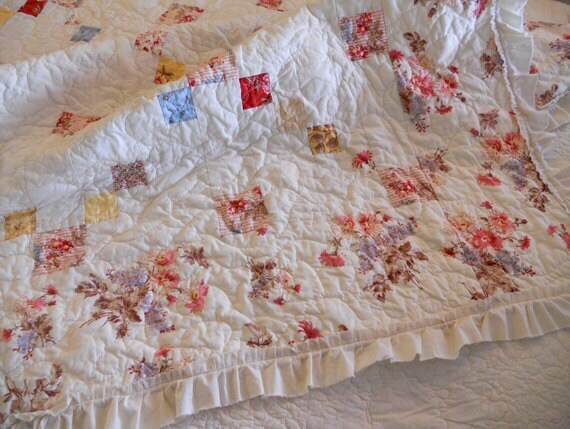 Also, included is a Love the Ruffle guide to finishing off your quilt with a ruffle.